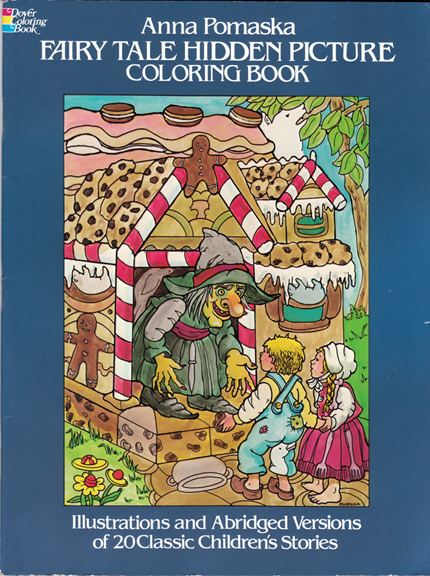 Fairy Tale Hidden Picture Coloring Book – Anna Pomaska, Lewis Carroll, The Brothers Grimm, Charles Perrault, et al. Author: Anna Pomaska, Lewis Carroll, The Brothers Grimm, Charles Perrault, et al. Measures 28 cm × 21 cm (11.2″ × 8.4″). Oversize 4to. 48 pp.